Beautiful simplicity stacks up into endless possibilities! 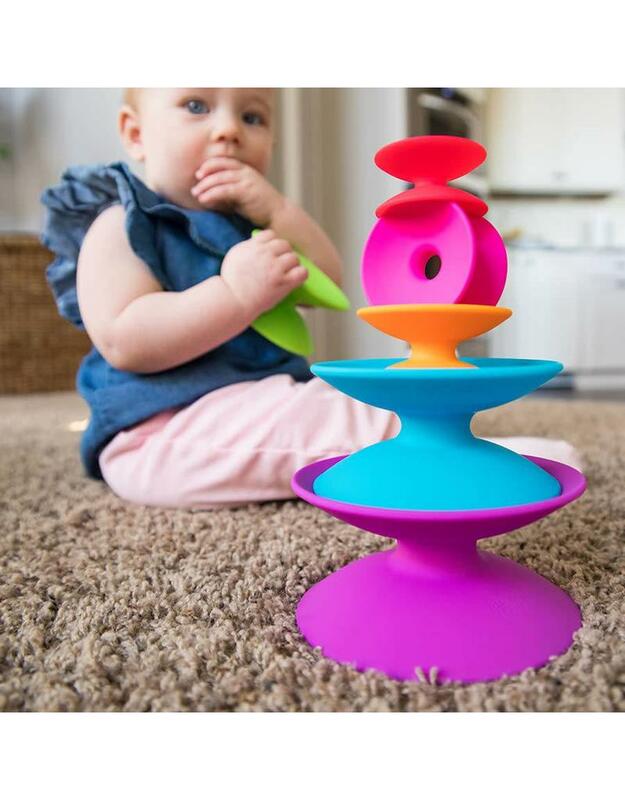 At first glance, it's a stacking toy. But look a little closer - feel, explore, and experiment a little further - and quickly you'll discover... This is truly art at play! Roll them and race them across the playroom. Stack them into any configuration you can imagine. Push your creativity to the absolute limits the laws of nature will allow. Delightfully finished with a uniquely soft texture and bursting with stunning hues that look gorgeous in any arrangement, these Spoolz are sure to inspire a new passion for play.